Lillie Mae (Bosserman) Smith, 92, widow of John Franklin Smith, formerly of Smith Lane, passed away Sunday, November 25, 2018 at the residence of her daughter with whom she had made her home. Mrs. Smith was born on December 3, 1925 in Augusta County, the daughter of the late Charles Luther and Lena Margaret (Perry) Bosserman. 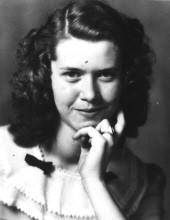 Lillie was a member of Jerusalem Chapel United Brethren Church, she worked at the Pajama Factory, and prior to retirement worked as a cook supervisor at Buckhorn Inn. She enjoyed flower gardening and cooking. In addition to her husband and parents, she was preceded in death by two brothers, Roscoe Elwood Bosserman and Lester Boyd Bosserman; two grandchildren, Elizabeth (Smith) Martin and Crystal Gayle Smith; and a great-grandson, Luke Rakes. Surviving are six sons, John Rawlin Smith and his wife Judy of Craigsville, James Franklin Smith and his wife Kathleen, Samuel Lee Smith and his wife Brenda, Donald Joe Smith and his wife Patricia all of Churchville, Richard Dale Smith of Graves County, Kentucky, and Daniel Wayne Smith and his wife Tina of Churchville; a daughter, Nancy Ann Cash and her husband Ronnie of Churchville; thirteen grandchildren; nineteen great-grandchildren; and one great-great grandchild. The family will receive friends from 6:00 p.m. to 8:00 p.m. Wednesday, November 28, 2018 in the Coffman Funeral Home and Crematory. A Celebration of life will be conducted 11:00 a.m. Thursday, November 29, 2018 in the Coffman Funeral Home Chapel by Pastor George Etling. Burial will follow in Oaklawn Memory Gardens. Active pallbearers will be John Smith, Tracy Smith, Travis Smith, Rusty Smith, Ronnie Cash, Jay Minter, Cody Minter, and Richard Moats. It is suggested those desiring make memorial contributions to Jerusalem Chapel United Brethren Church, c/o Auther Pilgrim Sunday School Class, 314 Chapel Road, Churchville, Virginia 24421. To send flowers or a remembrance gift to the family of Lillie Mae (Bosserman) Smith, please visit our Tribute Store. "Email Address" would like to share the life celebration of Lillie Mae (Bosserman) Smith. Click on the "link" to go to share a favorite memory or leave a condolence message for the family.